The Allt nan Coisiche flows in a series of beautiful waterfalls to the shore of Loch Broom. The high rainfall creates a very moist climate and the ideal conditions for many species of plants. 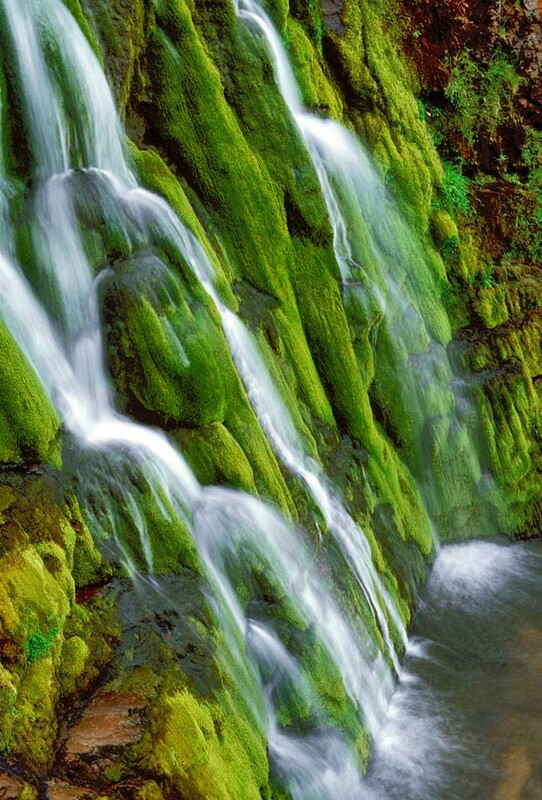 The rocks close to the waterfall are almost constantly wet, and are covered in luxuriant carpets of moss.